Marketing Perspectives 2012: Winning with Multichannel Marketing. 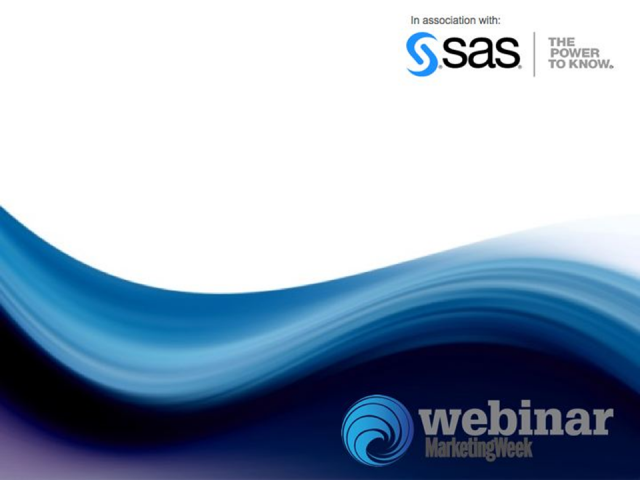 MarketingWeek and SAS UK conducted a survey of over 900 UK marketers. This exclusive event brings together a panel of leading experts to discuss and debate the findings. Learn how digital channels are dominating marketing priorities. What challenges and opportunities marketers see in the year ahead. Their channel strategies and spending plans. And much more. As realism takes hold, where do we plan to spend our budgets? Which new marketing channel are we only just waking up to? What is it marketers are really promoting using social media? How ready is marketing for the arrival of ‘Big Data’? Crispin Westhead, Head of CRM, Which? Title: Marketing Perspectives 2012: Winning with Multichannel Marketing.